A dark stairway, landing or bedroom will not present a problem for many people. For the very young, the elderly or those with impaired mobility or vision, good lighting is imperative. 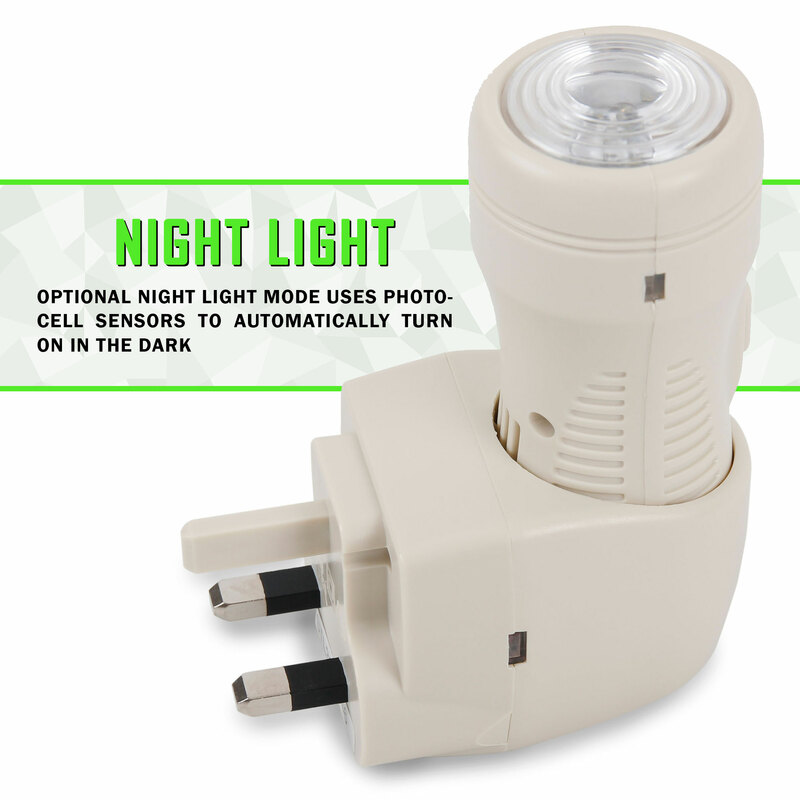 SafeTLights in hallways, on landings and in bedrooms can be a life saver. It is now a fact that more people are killed by accidents in the home than by accidents on the road. Many home injuries and deaths involve falls. Our emergency SafeTLight fulfils two important safety functions. 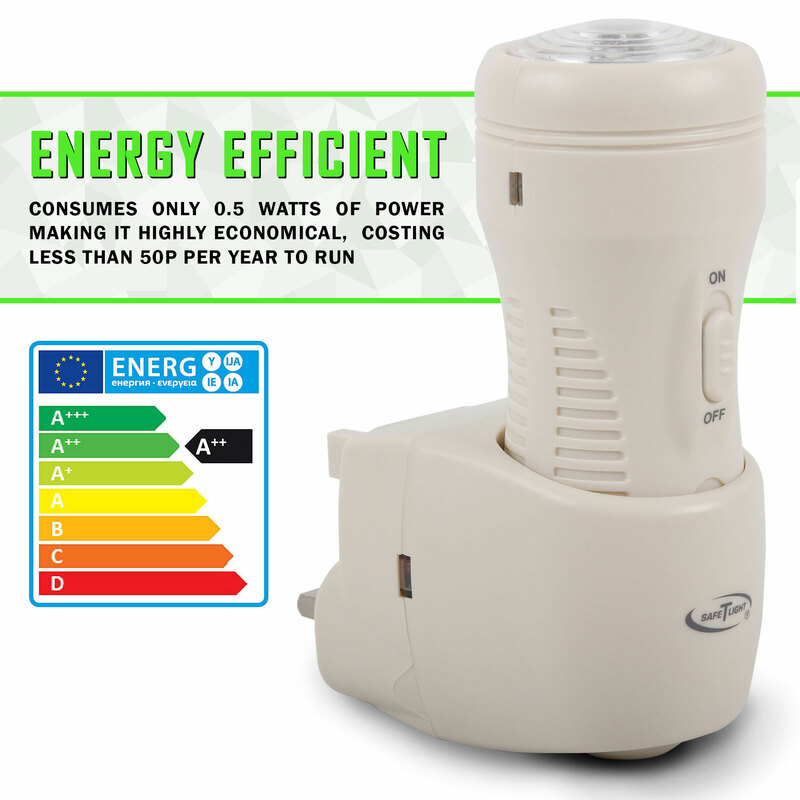 1) As a low level night light it is economical, automatic and worry free. It provides safe and gentle light throughout the hours of darkness. 2) Safe T Light's second function takes over when the power fails. When all other lights go out, your SafeTLights can be seen giving a reassuring light. You can easily find and remove the torch head. The light power will then increase and become more focussed - like an ordinary torch beam. See the HM Government Guidance Booklet “Do you have paying guests" regarding the use of plug in rechargeable torches in small premises (page 15). The SafeTLight also has an important role as emergency lighting in care homes, residential nursing homes and other buildings where residents may have problems with vision and mobility. 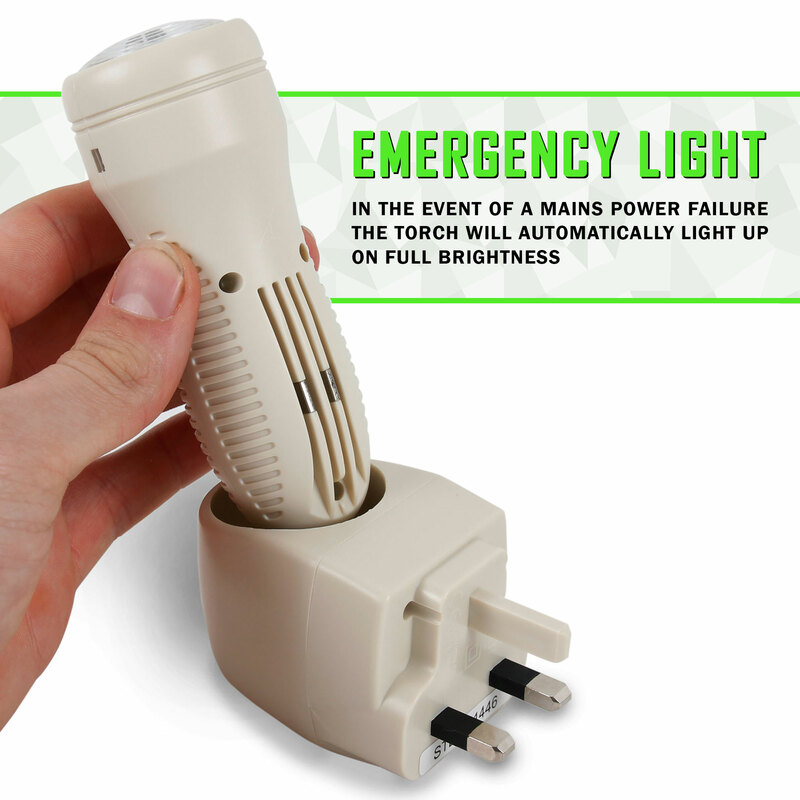 It provides a gentle night light during the hours of darkness and emergency lighting when the power fails - giving both residents and staff peace of mind. Of course, it's also handy for residential care staff to have a torch nearby for when it's needed. 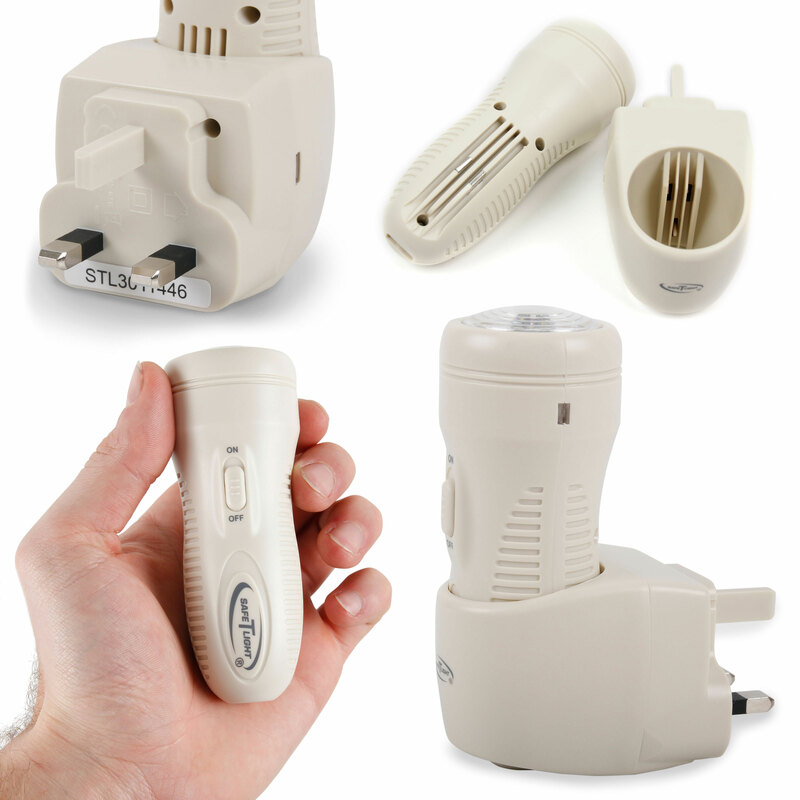 The rechargeable torch will operate for 4 hours before it needs to be returned to its charging / base unit - ideal for looking under beds or in dark cupboards.